'ABSOLUTELY STUNNING IS THE ONLY WAY TO DESCRIBE THIS INCREDIBLY BEAUTIFUL HOME!! IT IS TOTALLY UPDATED, REMODELED AND READY TO GO WITH SO MANY WONDERFUL AMENITIES SUCH AS AN AMAZING SALTWATER POOL PACKAGE-INCLUDING A GORGEOUS POOL DECK WITH DURA-GUARD SEALING IN 2016, NEW POOL TIMER IN 2016, NEW POOL MOTOR IN 2018, AND NEW HAYWARD GOLDLINE T-CELL-0 TERBO CELL SALTWATER CHLORINATOR!! THE KITCHEN BOASTS STAINLESS STEEL APPLIANCES, GRANITE COUNTERTOPS, WHITE KITCHEN CABINETS, NEWER REFRIGERATOR AND DISHWASHER PLUS A MARVEL KEGERATOR AND THERMO ELECTRONIC IN-WALL WINE REFRIGERATOR. THE A/C IS A 2013 5-TON H.E. TRANE CLEAN EFFECTS AIR FILTRATION SYSTEM, WITH DOOR WARRANTY 5/17. PGR HURRICANE IMPACT WINDOWS WERE INSTALLED IN THE FAMILY ROOM AND LIVING ROOM IN 2016. OTHER FEATURES INCLUDE PLANTATION SHUTTERS, NEW SOLAR HOT WATER HEATER, WATER SOFTENER, PLASTO FRONT DOORS W ANTI KICK HARDWARE AND TRIPLE LOCK - PLUS AN ADT ALARM SYSTEM W TOUCHSCREEEN. 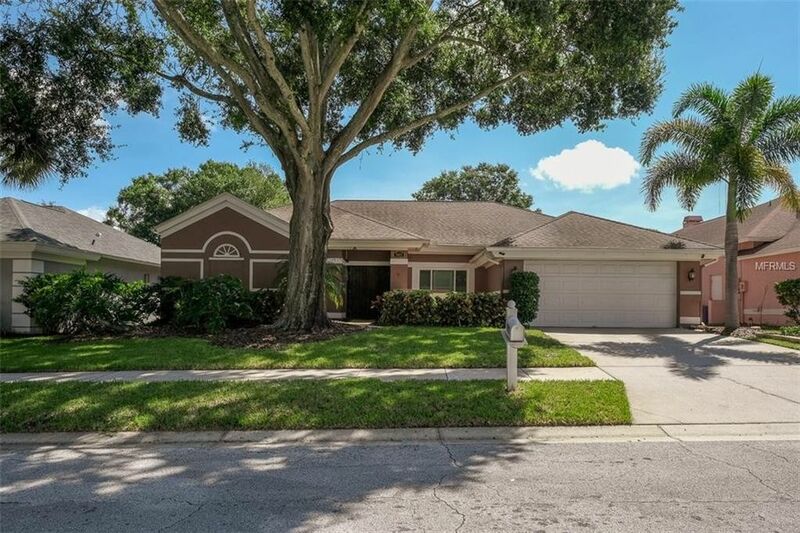 THIS PERFECTLY APPOINTED AND MAGNIFICENT 4 (SPLIT) BEDROOM, 3 BATH POOL HOME LOCATED IN AN OUTSTANDING PALM HARBOR NEIGHBORHOOD CAN BE YOURS IF YOU ACT QUICKLY!! DON'T MISS OUT ON THIS OPPORTUNITY! MAKE AN APPOINTMENT TODAY!!! Directions: US 19 N TO RIGHT ON ALDERMAN ROAD TO LEFT ON REGAL OAKS BLVD TO HOME ON THE RIGHT.